Every year millions of pounds of pesticides are used on lawns and around homes. No one needs to dump that many chemicals on their lawn, really. These harmful chemicals can be carried into the home via shoes or pets. However, controlling those pests naturally is easier than you may think. 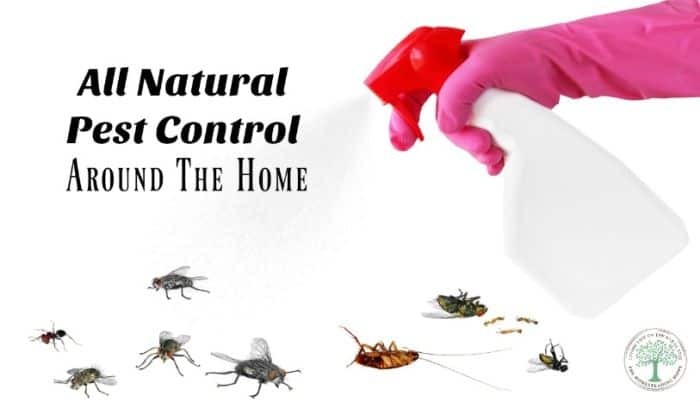 Natural pest control options are not only less expensive than store bought pesticides; they are also safer for your family, your pets, your yard, and the environment. Mosquitoes are most active in the early morning and early evening hours. They are hindered by breezes so they look for places where the air is still. They populate around standing water so remove standing water sources whenever possible. Frequently change the water in birdbaths, wading pools and your pet’s water dishes to keep mosquitoes from taking up residence. Remove or cover anything outside that collects water when it rains. If you’re cooking out on the grill, toss some fresh sage or rosemary on to repel mosquitoes. Catnip in the garden will repel mosquitoes and provide you with some beautiful flowers. Other mosquito-repelling plants include rosemary, marigolds and lemon balm so plant them in your garden. Flies can be repelled with a few scents. Make sachets using cheesecloth and fill them with fresh crushed mint, clove, bay leaves or eucalyptus and place them around your house. Plant fresh basil outside your doors in container gardens; the flies will stay far away. You can also cut a nice size bunch of basil and take it with you on picnics. As an added bonus, mosquitoes aren’t too fond of it either. Keep your kitchen counters clean and free of crumbs and sticky substances. Wipe down your counter tops after preparing food. Ants strongly dislike cucumber so lay cucumber peels or slices in your kitchen or around the ants’ point of entry. They also hate mint so leave some fresh mint or mint tea bags near areas where they seem most active. Spiders strongly dislike peppermint. Mix a few drops of peppermint oil in a spray bottle with a squirt of liquid dish detergent and fill with water. Spray the mixture on cobwebs, around doors and windows, around your garden and on any surfaces where spiders lurk. In addition to having a pleasant aroma, this mixture is nontoxic and safe to use around children and pets. You mix coconut oil and white vinegar to make an effective spray for repelling spiders. Oils may stain or cause spots though so be sure to test the mixture on a small, hidden area of carpets or upholstered furniture. Try this easy homemade insect repellent that works on almost all pests. Mix 1 cup of apple cider vinegar, witch hazel or vodka with 40-45 drops of peppermint essential oil and 15 drops of a citrus essential oil (orange or lemon work great) and pour it in a spray bottle. Use it around your doors, windows and anywhere else you see pests coming in. When you’re not using it, store the mixture in your fridge. It should last about 2-3 months. How do you control pests around your home? Be sure to pin this for later! Hey Heather, Thanks heaps for these, especially the spider treatment, we are over-run here on the farm with spiders and one-or-two are lethal types. This shouldn’t upset my asthma and will help clear away some of the peppermint invasion.